Delivery from £6.75 to United Kingdom in 10 - 20 working days. Shelf brackets directly inspired from Adonde's 3D shelf – they only kept the silhouette/outline of the shelf and put the two sides at different heights in order to slide a board through it. The graphic lines of this shelving system highlight the airy structure that supports the shelf. 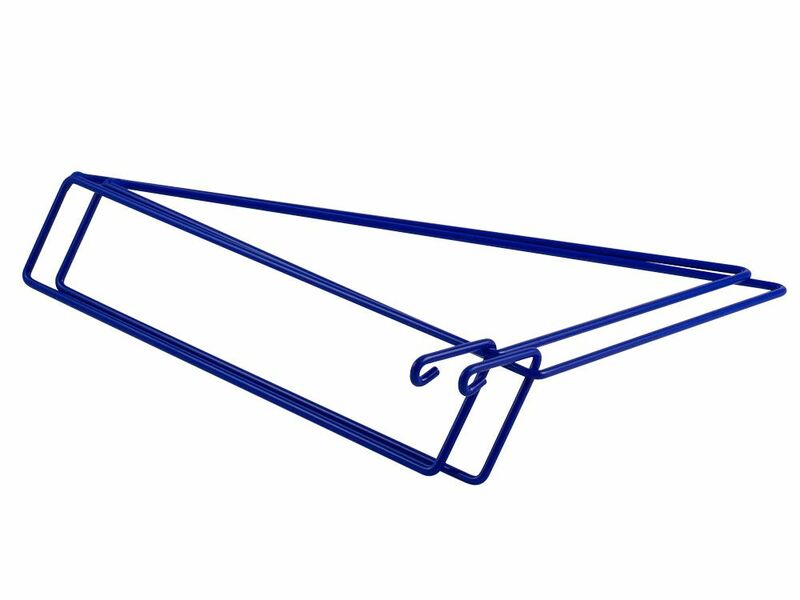 All the elements of a regular shelf bracket are there, but they are physically reduced to a minimum to hold the necessary weight -- 15 Kg per pair. 6 colors availables: white, light yellow, green, light blue, Klein blue, blackWooden shelves not included — for use with shelves 26cm wide and 1.8-2cm thick. • as the board remains suspended by the brackets, there is a slight flexibility that will be less accentuated according to the weight put on the shelf. ¿adónde? means ¨where¨ in spanish which for us translates into a policy of complete openness. People know where and how our objects are made.